A Successful, Professionally Transacted, Timely Sale of Your Aircraft is our mission. When you list with Jet Speed Aviation, you have over 40 years of aircraft sales experience in your command. We manage all necessary components of the sales process and prepare your aircraft for introduction to the marketplace, maximizing sales opportunity. The Details Make the Difference as we prepare the specification and presentation of your aircraft. Accuracy regarding Equipment Options, Exterior, Interior, Avionics Upgrades, comprehension of Operational and Performance Specifications, Current Maintenance Status, Future Maintenance Requirements and Regulatory Compliance are paramount in preparing your Aircraft for Sale. Aircraft Information: The details. specification, maintenance history, upgrades and attributes of your aircraft make the difference. Sales information is complimented by our staff of FAA Certified Maintenance Technicians by integration of pertinent maintenance information as we develop the presentation of your aircraft’s advantages. We focus on information required to build an accurate and professional presentation of your aircraft. Market Intelligence: Our market knowledge, industry relationships with other sales organizations, current clients and real time market data are paramount. We produce top quality marketing materials and initiate sales programs through industry data bases and end user market media. Your aircraft will be prominently positioned for exposure to propective buyers in a professional presentation package. Prospective Client Showings: A respresentative will be present for all relevant showings of your aircraft. We will meet with clients to be certain all the attributes of your aircraft are appreciated and address questions and concerns. Negotiations: We coordinate with you and your council on the details and nuances of all offers to maximize the return to you and assist as requested regarding the Aircraft Purchase Agreement and relevant documentation. Pre-Purchase Inspection Oversite: We will consult with you to identify a mutually agreeable Pre-Purchase Inspection location and help define an acceptable scope and detail pertaining to the inspection, to produce a successful sale. Our FAA Certified Aircraft Maintenance Technicians will be present as may be required, to evaluate the inspection progress and protect your interests. Closing and Delivery: We assist in preparation for closing and work with seller and buyer, to keep the sales process moving forward in a timely and focused manner, to deliver a successful transaction. After the Sale: We will follow up with seller and buyer with respect to any details and questions that may arise and also with respect to the satisfactory transfer of applicable Airframe, Engine, APU, Avionics, Warranty programs and any other questions and concerns. It is our goal to provide exceptional service. 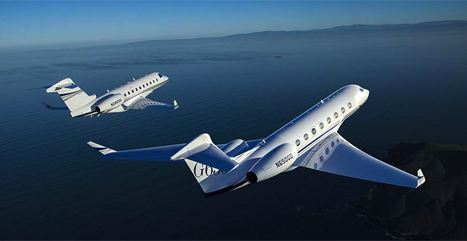 Jet Speed Aviation has successfully represented and sold numerous Jet Aircraft in many categories. Please contact us with any questions or to request additional information. We would be pleased to work with you on the sale of your aircraft. Our Experience and Performance will prove worthy of your decision.